Carraba’s is a restaurant chain that specializes in Italian cuisine. It has been in the industry for over three decades and is well known for quality Italian food. If you wish to impress your guest at your next event with something Italian, Carrabba’s catering services are worthy of consideration. Carrabba’s is known for its signature dish Chicken Bryan, which consists of chicken breast with sun-dried tomatoes and caprine cheese as toppings. It comes with a basil lemon-butter sauce. 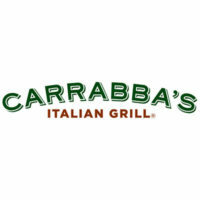 Carrabba’s was founded by two Sicilian boys from Texas in 1986. From a single restaurant in Houston, Carrabba’s has now grown to over 200 locations nationwide. In 1993, Carrabba’s entered into a joint venture with Outback Steakhouse to set up 10 more restaurants in Texas and Florida. Carrabba’s catering is a name you can rely on for quality Italian food. Everyone will love the hand-prepared dishes, including Sicilian chicken soup, seafood, pasta and calamari. If you want a hassle-free event hosting, Carrabba’s catering is a perfect fit. Ordered food can be delivered right at your doorstep. Its catering menu comes with all the necessary things to make your event successful such as silverware, serving utensils, plates, napkins and ready-to-serve packaging. Carrabba’s has a wide selection of Italian grills. Penne Carrabba, Pollo Rosa Maria, and wood grilled salmon are the popular choices. To complete the meal course, Carrabba’s catering menu also offers several soups and salads to choose from. To place your order, you may simply call or visit the local restaurant nearest you. A restaurant attendant will be happy to assist you. You may also log on their website and utilize their online ordering solution. Don’t forget to indicate the date and time for pick-up in your order form. They can be picked up at the local restaurant seven days a week. It also offers a delivery option for large orders that cost above $100. The delivery option, however, requires an additional fee that may vary from one local restaurant to another. Carrabba’s require clients to give them at least 24-hour notice when ordering. An additional time is recommended during holiday seasons to ensure availability. Carrabba’s Catering menu has a variety of family-style meals that are good for up to 10 people. With Carrabbas, you get what you pay for. The serving sizes are large enough for take home leftovers. Catering food packages include an entrée, bread, salad, olive and herb mix and side dishes. Prices only start at $10 per person. For a detailed catering menu, you may check their website. Your ordered food is neatly packaged and kept warm for timely pick-up or delivery. Heating chafing dishes are also available by request. Carrabba’s always make it sure that the order is accurate, even with a special dietary request. They also offer discounts regularly so make sure to always check their website for promos. Carrabba’s catering menu prices are reasonable given the quality of food. But since it is an upscale dining restaurant in the U.S., prices can be a little more expensive than other local chains offering Italian food.